To state the obvious, nobody enjoys pain. At Hammond Aesthetic & General Dentistry, we know this, and have made patient comfort our first priority. This sometimes means sedation dentistry. In conjunction with creating a calm environment, we have various medications that can lessen and even eliminate pain associated with different dental procedures to give you a more enjoyable experience. Some of the most common pain-relieving medications used in dentistry are topical anesthetics. These are swabbed directly onto mouth tissue and numb the surface layers. Topical anesthetics can curtail the pain of mouth sores, or they can be applied to prepare the mouth for an injection. More involved dental procedures may call for oral conscious sedation, a form of sedation dentistry that involves taking a sedative before your procedure. If you undergo oral conscious sedation, you’ll need someone to drive you home afterward. 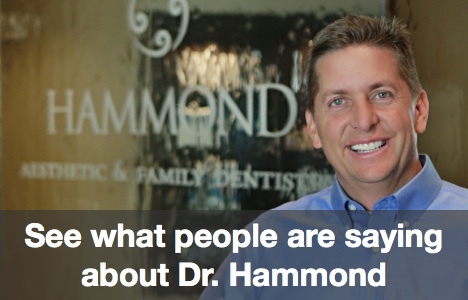 At Hammond Aesthetic & General Dentistry in Provo, we want our patients to be informed about their dental care, and comfortable throughout any procedure. We offer family and cosmetic dentistry. Make an appointment today. 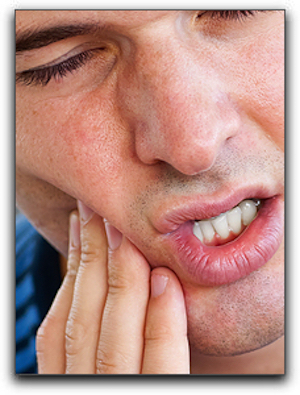 Are you suffering with a toothache, but ignoring the pain? Have you started chewing on one side of your mouth to avoid your sensitive teeth? Have you stopped drinking hot and cold beverages to alleviate the discomfort? 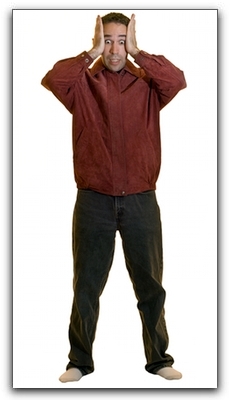 Dental pain is like an unpaid speeding ticket, ignoring it won’t make it go away. Many adults and children dread seeking relief from a dentist because they fear the treatment will hurt worse than the pain they are experiencing. Waiting too long to care for your teeth can cause serious health problems – and not just in your mouth. My name is Chris Hammond and I have been dedicated to calming the distressed feelings of my Provo patients since 1967. At Hammond Aesthetic & General Dentistry, we help you relax and ease any discomfort you may have. We create a comfortable dental experience for all of our patients. 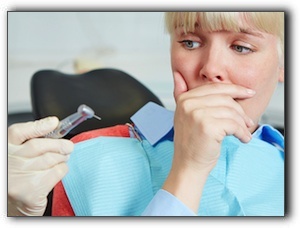 If you have dental anxiety, Hammond Aesthetic & General Dentistry offers several solutions including sedation dentistry. We can also use anti-anxiety agents to quiet your fears and make your dental visit as safe and laid-back as possible. In addition to sedation dentistry, Hammond Aesthetic & General Dentistry offers cosmetic dentistry, teeth whitening, and oral cancer screenings for Provo residents. Let the caring dental team at Hammond Aesthetic & General Dentistry help restore and maintain your oral health. Call today to schedule an appointment. Our phone number is 801-374-0070. At Hammond Aesthetic & General Dentistry we want your smile to last a lifetime. 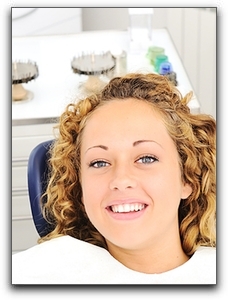 Is Sedation Dentistry Safe For Provo Smiles? When I discuss sedation dentistry with new patients, I encounter many misconceptions. 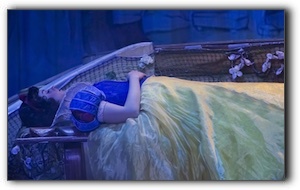 The purpose of today’s article is to de-bunk some of the most common myths about dental sedation. Some nervous dental patients are not only afraid of receiving treatment; they also fear the thought of not being in control. At Hammond Aesthetic & General Dentistry, we offer different levels of sedation, but none of the sedation options put you completely to sleep. With oral sedation you are relaxed but not totally knocked out. When we need to ask a dental sedation patient a question during the treatment, the patient is able to hear, understand, and respond. Some Utah dental insurers do cover sedation. Check with your insurer for details about your dental insurance benefits. Cosmetic dentists have been safely providing sedation for many years. Our practice meets all the requirements advised by the American Dental Association. Millions of Americans and thousands of patients have safely received sedation for dental treatment. For more information about anxiety-free dentistry, contact us at 801-374-0070 today to schedule a sedation consultation. Many Provo residents who have improved their smile with cosmetic dentistry or underwent extensive restoration care chose to use sedation. Though the terms “sleep dentistry” and “oral conscious sedation” are often used interchangeably, they are not identical. Let’s review the three main types of sedation used in dentistry. The first level uses nitrous oxide, or “laughing gas” as it is usually called. Nitrous oxide has been used in Provo cosmetic dental offices for generations because it is safe and effective. It goes to work at the first inhalation, relaxes the patient during the treatment, but wears off quickly after the mask is pulled off. If you need a little help to get through dental treatment, but don’t want to be knocked out cold, nitrous may be the best option. Oral sedatives don’t start working as speedily as nitrous oxide, but they help most patients achieve a deeper level of tranquility. These medications, however, do not usually cause complete unconsciousness. Thus, oral sedatives and nitrous oxide are used in “conscious” sedation. Two of the most common sedatives used by Provo dentists are diazepam and triazolam. For more information, call Hammond Aesthetic & General Dentistry at 801-374-0070. Dental anxiety and the more severe dental phobia affect many Provo people, including some Hammond Aesthetic & General Dentistry patients. Today’s post answers some questions asked about this serious topic. The most harmful consequence is when a dental phobic patient delays dental care until a pain becomes excruciating. At this point, the problem is usually extremely advanced and requires extensive treatment. Furthermore, there are usually many other dental problems in varying stages of progression. Many oral conditions eventually cause malfunction in other vital systems risking general health and well-being. Schedule an appointment with me, Drs. Dr. Hammond of Hammond Aesthetic & General Dentistry in Provo. There are several specific fears associated with dental anxiety and dental phobia. Fear of pain, the unknown, loss of control, and extreme embarrassment because of poor dental health are the most common concerns. During your consultation, we will address each of your specific fears and discuss them. If local anesthetic is necessary, I employ my finely-honed methods which cause zero to minimal discomfort. We agree upon a nonverbal signal, such as raising a hand, to signal me to remove my instrument from the patient’s mouth. Then he/she can take a break, breathe deeply, regain composure, ask questions, and learn the status of the procedure. These methods go a long way in calming anxious dental patients. At the very least, they help the patient get through the treatment that is needed ASAP. With each subsequent visit, the patient is comforted by the growing familiarity, their increased confidence, and a strengthened relationship with me and my caring team. 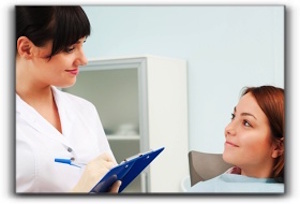 Sedation dentistry is available at Hammond Aesthetic & General Dentistry. In the Orem dental community, the terms “sleep dentistry” and “oral conscious sedation” are both used, however, they are not exactly the same thing. There are three main types of sedation used in dentistry. Nitrous oxide, or, informally, “laughing gas” is safe and effective. Nitrous oxide has been used in Provo cosmetic dental offices for decades because in many ways it is the ideal mild sedative. It goes to work at the first inhalation, relaxes the patient during the treatment without rendering them completely unconscious, and wears off quickly after the mask is removed. It also requires no needles – an important feature for the needle-phobic. Oral sedatives don’t start working as quickly as nitrous oxide, but they help most patients achieve a deeper level of relaxation. These medications, however, do not usually produce complete unconsciousness. Thus, oral sedatives and nitrous oxide are used in “conscious” sedation. Two common sedatives used by Provo dentists are diazepam and triazolam. To learn more about overcoming dental anxiety, sedation dentistry, or any other dental topic, call Hammond Aesthetic & General Dentistry at 801-374-0070. If you are dreading some upcoming dental treatment, you may want to consider oral conscious sedation. First off, oral conscious sedation or sedation dentistry is perfectly safe. At Hammond Aesthetic & General Dentistry, we have been providing sedation since 1967. We offer different levels of sedation and a choice of medication including oral analgesics, nitrous oxide, and IV sedation. When choosing a type of sedation, it is helpful to consider the type of anxiety (fear of immobility, fear of loss of control, fear of pain, etc), the specific procedure(s) you will undergo, the length of time necessary to complete the treatment, past experiences during treatment, and any complicating health problems. Call 801-374-0070 to schedule a consultation Drs. Dr. Hammond to discuss your options. Perhaps Mommy is the one who is anxious about her child undergoing dental work. Sorry – we can’t sedate you while your child is being treated – but you can take comfort in the fact that we take excellent care of our youngest patients. We make sure they are comfortable and relaxed, and that they understand exactly what is going to happen. Our team of child-friendly dental professionals has been putting children at ease since 1967. Regular dental check-ups are critical for your child’s lifelong oral health, so it is important that your child has a positive experience during dental visits. If possible, don’t let your child know that you have dental anxiety. If he/she already knows, explain why your fears are unreasonable and why you are having treatment regardless of your anxiety. Show them how brave Mommy is because she wants healthy teeth. Hammond Aesthetic & General Dentistry offers full-service dental care including mini implants, porcelain veneers, and sedation dentistry. Thanks for visiting our blog. Check back for more helpful dental information from Hammond Aesthetic & General Dentistry in Provo. 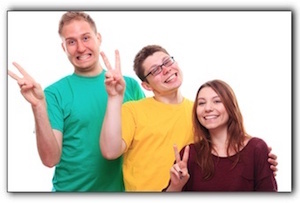 Hello Orem dental blog visitors, welcome to the Hammond Aesthetic & General Dentistry blog. 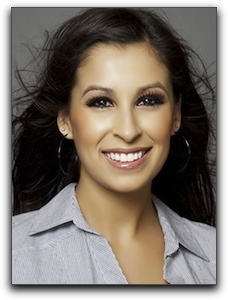 We are Dr. Hammond and we specialize in cosmetic dentistry and dental crowns. If you need root canal treatment and are worried about the pain you might experience or being able to get off of work for the multiple office visits to complete the procedure, be assured that painful root canals are a thing of the past with modern Utah dentistry. Your anxiety can be diminished when you know what to expect. If you have been neglecting your teeth because of fears or concerns about a particular procedure and have not been to your Provo dentist recently, we encourage you to schedule an exam, cleaning, and consultation today. We are accepting new Orem dentistry patients at Hammond Aesthetic & General Dentistry. At Hammond Aesthetic & General Dentistry, we offer invisible braces, fast teeth whitening, porcelain veneers, and all general and preventative dental procedures.